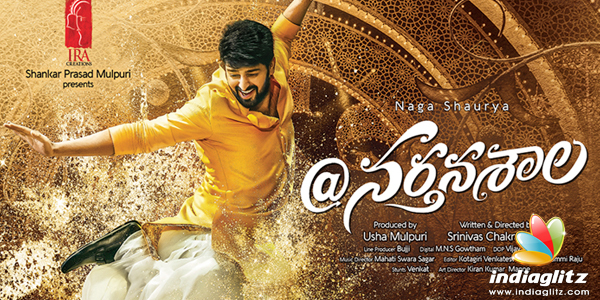 'Nartanasala', starring Naga Shauyra, is produced by IRA Creations. The film has been directed by Srinivas Chakravarthi. After 'Chalo', in which he played a mildly atypical college goer, Shaurya is expected to shine in this dance comedy. Kashmira Paradesi and Yamini Bhasker play the heroines, while Shivaji Raja plays an embarrassed and benumbed father (because his son's sexual orientation is apparently 'strange'). Ajay has a role. Jayaprakash Reddy, Gemini Suresh, and Rocket Raghava are part of the cast. Music is by Mahathi Sagar. Cinematography is by Vijay C Kumar. Stunts are by Venkat.